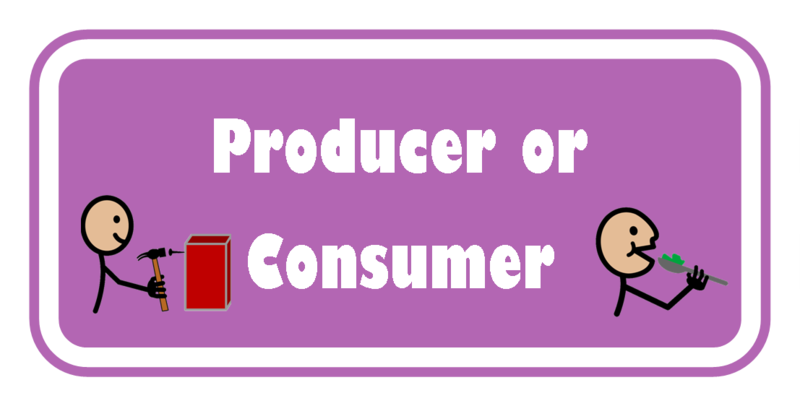 The concept of producer and consumer is something we clearly know and understand. Oftentimes if not always, we tagged ourselves as the consumers. We buy food, clothes or just about anything to satisfy our needs and wants. A little portion of us are the producers. They are the ones who provide us with the products and services. In order to get the things we need, we exchange it with money. Hence, the producers are the ones earning in the process. This is one cycle that we are so accustomed to. However, we can be able to cut the cycle short and instead fill in the two parts together. I am talking about being a prosumer. The concept of prosumerism involves you providing the products or services and you are also the one benefitting it. Hence, in this way, there is no need for you to exchange money just to obtain it. Since there’s no money involve, you cut cost and expenses. Alas you can be able to save! You may also spend on the raw materials for instance yet the end product is still cheaper compared to the ones in the market. Here are a few practical things that you may be a prosumer! Instead of getting your car cleaned by a cleaning provider, you may do this during the weekend with your kids. It is a good bonding time while saving a few hundreds of pesos. This also holds true in cleaning your house. If you don’t have a helper to do the cleaning, make it a family activity instead. Family bonding plus savings is one great equation. Instead of letting other people do your laundry, do it yourself. Instead of buying vegetables in the market, perhaps you can dedicate few portions of your lot or pots in planting these vegetables. Make an organic vegetable garden. So that when you need one for your dish, you can just pluck one at no expense. Instead of buying ready to eat meals or dining out, why won’t you cook one and eat at home. Have your other family members help you. Again another bonding activity most especially with your kids while delivering a truly personal dish. The leftovers can then be reheated for next day’s meal hence saving a lot in the process. Instead of hiring others to do simple fixing most especially at home, why won’t you try to fix it yourself first. You may be able to gain a new skill in the process. Instead of hiring a tutor for your kid, perhaps you can spare a few hours to teach them. There are still other things you can do for yourself where you can act as a producer and consumer at the same time. Plus, you can be able to acquire new skills and hobbies in the process. Who knows, these skills or hobbies might develop into a business where you can provide your products or services. Isn’t that great? More money and more savings on your end! Suggest also ways where you can be a prosumer. Share your ideas and inspire others!